Goodman Fielder is a leading food company that boasts over 5,000 employees and 120 brands manufactured in over 40 sites across Australia, New Zealand, and Asia Pacific. The organization is supported by a large-scale, efficient distribution network that enables delivery of Goodman Fielder’s products to over 30,000 outlets. In March 2015, Goodman Fielder was acquired by two leading Asian food companies: Wilmar International and First Pacific. With the funding behind the acquisition, Goodman Fielder was able to invest further in its brands, people, and facilities in order to become the region’s leading consumer food company. This acquisition also created an opportunity for Goodman Fielder to improve on its operations and create a leaner organization capable of quickly responding to market challenges and becoming more adaptive to enter new markets. In 2015, Goodman Fielder’s finance team remained largely decentralized with functional operations spread across Australia, New Zealand, and APAC. In addition, although SAP was the primary ERP platform, multiple, disparate system applications and tools were used across markets, which negatively impacted the organization’s critical business processes. Goodman Fielder realized that it had a significant opportunity to transform its operating model and adopt new ways of working, thus creating a leaner organization able to quickly scale and adapt when entering new markets. In 2016, the organization partnered with Capgemini on its transformation journey towards leaner finance functions, which represented the first phase of its transformation journey. Capgemini was chosen based on its experience in process transformation and access to best-in-class technology. Together, the organizations would manage the transformation program and focus on driving competitiveness and the acceleration of Goodman Fielder’s business through innovation. The first step of the transformation focused on working together to align Capgemini’s proprietary transformative Global Process Model (GPM) methodology with Goodman Fielder’s unique requirements. Prior to the partnership, Goodman Fielder’s collections, cash applications, and dispute teams coexisted in the same accounts receivable (AR) function. This divided the team’s focus and hampered its productivity, as well as creating compliance issues. Capgemini standardized and segregated each respective team’s responsibilities, provided process documentation, and implemented separate SAP profiles for the Dispute, Cash Application, and Collections teams. This resulted in a more focused approach, enabling the teams to place their undivided attention on essential processes and reducing the overall turnaround time. Automated dispute and short pay workflow – improves productivity through workflow automation, eliminates errors in resolving all types of disputed payment transactions and exceptions, and reduces costs through the digitalization of manual and paper-based dispute resolution processes. Finally, Capgemini implemented Cisco’s Unified Communication System to improve on handling incoming calls and measure productivity. Previously, Goodman Fielder’s employees used individual phone lines, which resulted in a lack of a common bridge to route incoming calls to available users and led to a high number of calls going unanswered. RONA ensures that when an agent fails to answer, the call is redirected to another agent or put back in the queue after ringing for a certain amount of time. In addition, the solution introduced a call tracking mechanism to give Goodman Fielder the ability to measure the volume of calls. The success of the first transformation phase led Goodman Fielder to engage Capgemini again for the delivery of phase two, which included the transformation of Claims, Credit Risks, Master Data Management, General Accounting, Tax Accounting and Compliance, Capital Project Accounting, and Freight Matching and Verification. From the very beginning of the relationship, Goodman Fielder and Capgemini worked hand-in-hand to achieve the desired business results. Both organizations adopted new ways of working, including the online collaboration between virtual teams. Moreover, Capgemini’s Command Center solution was implemented to carry out reporting and business analytics as an iterative, methodical exploration of an organization’s data with an emphasis on statistical analytics. This is used to gain insights that inform business decisions and can be used to automate and optimize business processes. The partners have also established a Goodman Fielder Academy to develop a knowledge management toolkit to be used to train team members. This academy facilitates and monitors the progress of pre-process, process, and on the job training of every employee associated with Goodman Fielder to ensure that all personnel are competent and ready to deliver. 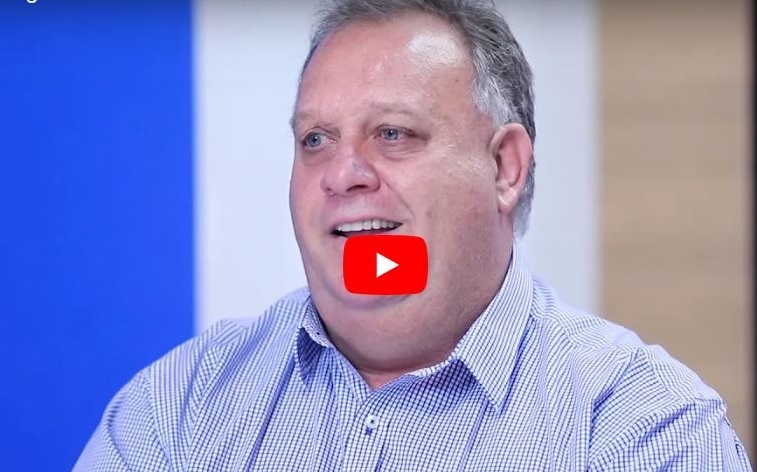 Watch the video to learn more about how Capgemini helped Goodman Fielder transform their finance operations.